Over the last few weeks, there have been some interesting developments in the quest for accountability in the conflict between Israel and Palestine. On 25 June, the Palestinian Foreign Minister, Riad al-Maliki, visited The Hague to submit documents to the International Criminal Court (ICC) relating to the preliminary examination the Court has been conducting into the 2014 Summer war in Gaza. According to the Palestinians, these documents contain evidence of war crimes by Israel, both during the war and the occupation of Palestinian territory. On June 23, the United Nations Independent Commission of Inquiry, which investigated alleged abuses of international humanitarian and human rights law during the Gaza war, released its long-awaited and controversialreport. At a news conference, the report’s authors Mary McGowan Davis and Doudou Diene, said there was considerable reason to believe that both Israel and Palestinian armed groups committed international humanitarian law offences which may amount to war crimes under the ICC’s Rome Statute. This latest report, issued by the UN’s Human Rights Council, came on top of an earlier April board of inquiry which was appointed by UN Secretary-General Ban Ki-moon to investigate Israel’s alleged targeting of UN-run schools. This boardfound that Israel killed 44 civilians in UN schools during the Gaza war (although the Secretary-General also criticized Palestinian armed groups for hiding weapons there). Ms. McGowan Davis lamented that “impunity prevails across the board,” both in Israel and in the Hamas-controlled Gaza Strip. These developments will undoubtedly have an impact on the ICC’s preliminary examination. 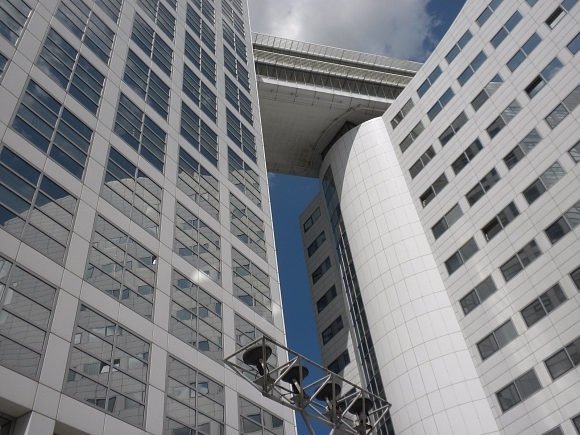 Several sources have asserted that the UN report could serve as a road map for the ICC’s preliminary examination. During the preliminary examination, the Prosecutor assesses whether there is a “reasonable basis” to believe that the criteria of jurisdiction, admissibility (complementarity and gravity) and the interest of justice are met. If this is the case, the ICC Prosecutor can file for a full investigation. The question of whether there is enough evidence will of course also be a relevant factor in this assessment. The events of the last weeks seem to address several of these criteria. First, the Commission’s finding that impunity has prevailed for both parties might indicate that the complementarity criterion will be met. As neither Hamas nor Israel are currently willing to prosecute their own officials for alleged crimes, the ICC might feel the responsibility to fulfill its mandate as a “court of last resort.” The Commission’s report specifically notes that there are structural problems within both countries with their treatment of alleged war crimes, generally leading to impunity. At the same time, however, the Commission is primarily calling on the national governments to increase their capacity and willingness to seriously address alleged abuses. Second, the Commission’s findings speak to the gravity factor. According to some analyses, the ICC deploys four criteria to assess whether a case is ‘grave’ enough: “the scale, nature, manner of commission, and impact of the crimes.” The Commission’s findings could be a significant factor in this determination. The report underlined that “the scale of the devastation was unprecedented.” It also emphasized the harrowing effects the war had on children, pointing to the 551 children who died in bombings of residential buildings by Israel and the psychological effects of Hamas’s indiscriminate use of rockets on Israeli children. Third, the Commission’s report, as well as the Palestinian submission of documents, increases the availability of information for the ICC. Although not all of the information submitted and published might have a clear legal status (the Commission’s report, for example, had to almost exclusively rely on witness reports and interviews because of non-cooperation by the Israeli government), the pool of information the ICC Prosecutor can base its determinations on, has certainly grown. Because of these impacts, the created momentum might increase the pressure on the Court to accelerate its proceedings. However, it is likely that the Prosecutor will hold her cards for now and prolong the preliminary examination. It might be wise to do so. Apart from budgetary and capacity constraints, the prevailing political circumstances provide at best a mixed case for a successful full investigation. It is to be expected that Israel and Hamas will not cooperate with the Court’s requests. As illustrated above, the Israeli government’s views on its own actions are clear. Furthermore, Israel does not recognize the Court or its treatment of Palestine as a ‘state’. These territoriality issues would offer further reason to believe that Israel will not cooperate with potential Court investigations into alleged Israeli war crimes. Hamas, the de facto ruler of the Gaza strip, has also denied allegations of war crimes by their own forces and have only hailed the UN Commission report as a “condemnation of the Zionist occupier for its war crimes.” Without cooperation from the Israeli and Hamas governments, the ICC will have a hard time conducting independent and objective investigations into the conflict. The expected non-cooperation on both sides is problematic on a number of fronts. First, if the ICC issues arrest warrants and does not receive the cooperation it needs, critics might use this case to once again disparage the ICC for being ineffective. If more outstanding arrest warrants remain unfulfilled, the credibility of any threat it issues will decrease, undermining the Court’s deterrent impact. Second, there is a possibility that the ICC will only be able to prosecute Hamas officials, both because of easier access and because of stronger evidence. The Commission of Inquiry noted in its presentation that Hamas’s summary execution of 21 alleged spies was one of the clearest cases of a war crime. In addition, some observershave stated that the group’s indiscriminate use of rockets to target civilian areas seems to offer clear evidence of war crimes. The Court might also find it easier to execute arrest warrants against Hamas officials. The Palestinian Authority, which controls the rest of Palestine, has stated on numerous occasions that it would be willing to assist the ICC. The recent troubles within the Fatah-Hamas relationship might increase the chance that the Palestinian Authority will cooperate in apprehending indicted Hamas officials. Furthermore, Israel might be willing to selectively cooperate with the Court in prosecuting Hamas officials. If the Court is only able to put Hamas officials in the docket, while being obstructed in the cases it is considering against Israeli officials, this would reinforce the narrative that the Court is a tool for Western powers to prosecute their enemies. As the Court continues its preliminary examination, it would do well to carefully consider the feasibility and effects of opening a full investigation. The Court is now involved in one of the most politicized conflicts on earth and there is a high chance that its institutional reputation will greatly suffer if it missteps. Furthermore, the Court’s involvement in the Israeli-Palestinian conflict might harm the relatively positive relationship with the U.S. it has been enjoying. Although this should not have a major impact on the Court’s decisions, it would still be a factor to take into account. It might therefore be best for the Court to merely continue its preliminary examination. This already obtains one positive thing, namely a change in the narratives of the conflict, which as recent events show is increasingly permeated by the considerations of ‘justice’. If this trend continues, the ICC’s involvement will already have had a positive effect. Then, once circumstances are more conducive, there would always remain scope for the ICC to expand its involvement. The author would like to thank Dr. Eamon Aloyo for his constructive feedback.